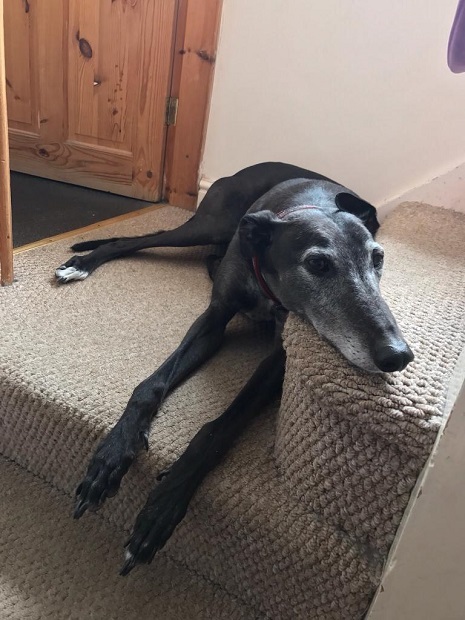 Alfie is a gorgeous 7-year-old Greyhound boy who lived happily in a home for 4 years but has sadly had to go into kennels with Greyhound Trust Nottingham as his owner is now working away. 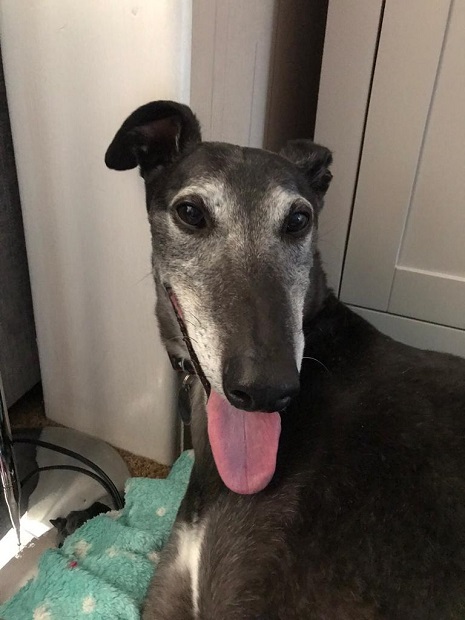 Greyhound Trust Nottingham hopes that Alfie will find a new home quickly, to minimise his time back in kennels. Alfie is a calm and gentle boy who loves going for walks. 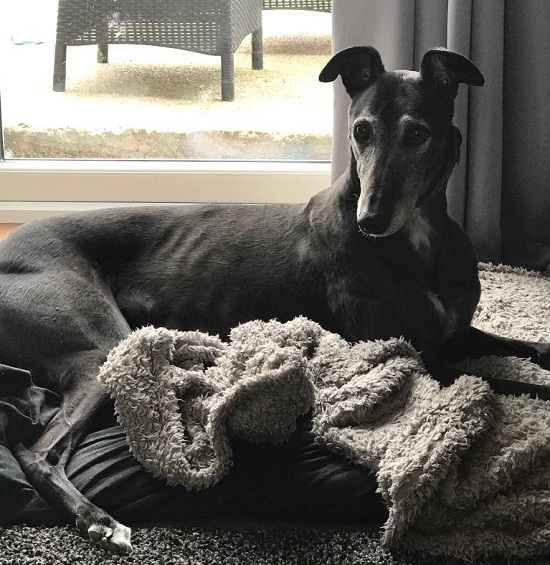 He has lived with children but his previous owner feels he would prefer a quieter home as he approaches his twilight years. He has not been cat tested but it is unlikely he could live with cats. 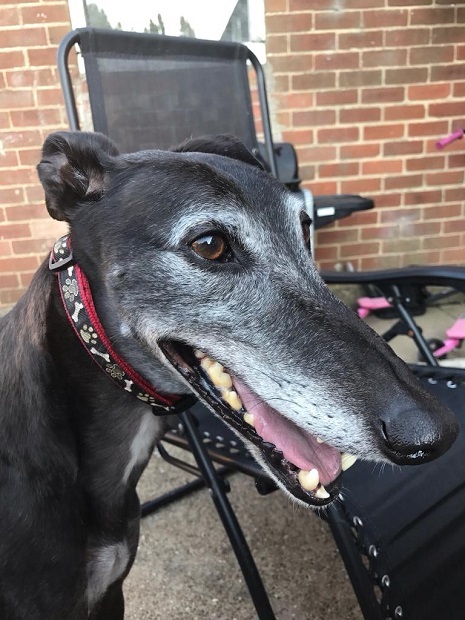 Alfie is happy in the company of other greyhounds and he enjoys walks out with his kennel mates. However, he is quite frightened of non-Greyhound larger breeds and might pull and bark if they approach him. He usually doesn’t react if they are at a reasonable distance though. Greyhound Trust volunteers have started some training and Alfie is making very good progress. It seems that if Alfie’s new owner continues the training, and introduces him to larger dogs in a non-threatening, positive way, he could be quite happy being around other dogs. Alfie would be happy as an only dog in his new home, or he could possibly live with another dog. The other dog would need to be well-behaved and sociable, which would help Alfie learn that dogs are not a threat. 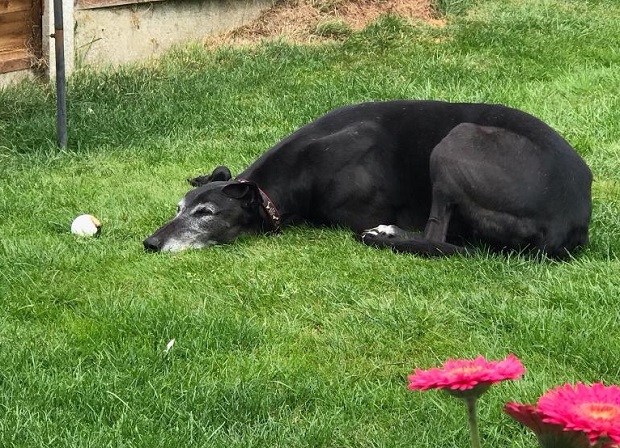 Alfie often potters around the kennel block and kitchen with Kim, a female greyhound, and they get along great. Alfie is such a sweet-natured boy. He loves a cuddle and is very well-behaved, which makes him a pleasure to have around. He thoroughly deserves to be back in a home with a loving family and this is what the rescue desperately want for him. Could you offer Alfie a loving home?